It’s one thing to be resigned to the fact that you are about to die mere moments after you finish a few speeches, but it is quite another to talk about and graphically describe all the mechanisms and infrastructure that are about to replace you. This is what Moshe does in great detail as he goes into how to set up a court system, root out corruption and a host of other legal matters. 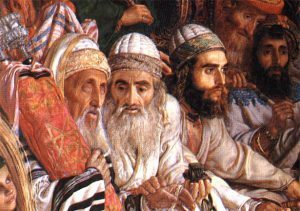 The system Moshe outlines is unlike anything the ancient or modern world has ever produced and yet if Israel must trade Moshe for that system, there seems every indication they were better off under him. However, hope will always remain so long as some in Israel realize their ultimate King is YHWH Himself.